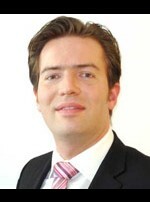 Thomas Schneider is WSN European Policy Advisor. He studied economics at the Technical University of Chemnitz and the Business School - Southampton Insitute (GB). He gave lectures on international political systems at the University of Applied Sciences Mittweida. Today he is head of EU-Russia-Dialogue and the Estonian office of the Konrad-Adenauer-Stiftung. Voluntarily he is Vice Chairman of the International Young Democrat Union (IYDU). He was first vice president of the Youth of the European Peoples Party (YEPP) and was also chairing the international commission of the Junge Union Deutschlands (JU). Author has no published articles.